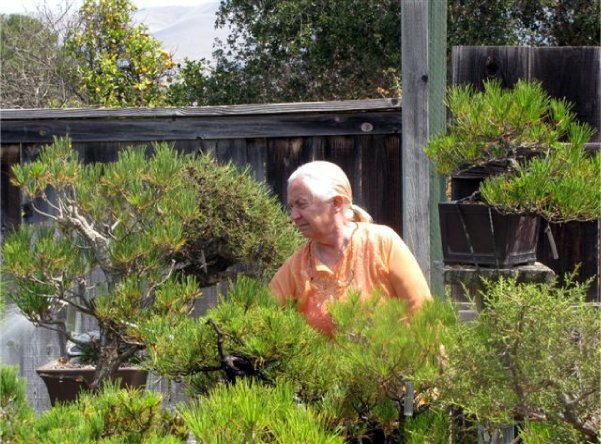 Travis Goldstein founded California Bonsai Studio in 2008. Travis has studied the art of bonsai in America and Japan, with the majority of his studies being under Mas Ishii of Chikugo-en. His studio and growing grounds are located at 4015 N. Moorpark Rd., Thousand Oaks, and are open from 9am to 5pm every Thursday, Friday, Saturday, and Sunday. In addition to thousands of bonsai and pre-bonsai the studio carries bonsai tools, pots and supplies. See their website www.californiabonsai.com for classes and services provided at the studio, including a free workshop every third Saturday of the month. This month’s meeting will be Travis’ first visit to our club. As of this writing, he is scheduled to do a demo on a Juniper. Also, our new members who attended the workshop on May 30: We would like very much for you to bring your newly styled trees to the meeting. Once again we put on a terrific Show!!! Thanks so much to everyone showing up on time for storage pick up, show set-up and take-down and then back to storage. A special thanks to our presenters and those heading our many committees. I am always pleasantly surprised that we have such a wonderful variety of trees at our show. The public response was very positive. I heard many “I didn’t know that could be a Bonsai”. The only negative was no one discovered the four doughnuts I had brought for consumption until several days later when the ants discovered them in a box in my living room buried with other bonsai paperwork. I’ll announce their availability sooner next year. So, Great Job to everyone for pitching in and doing all of the “little” tasks that make our Show so successful! The Garden personnel have commented that they would like to expand the event next year. We’ll get details on that later in the year. Tom Post reports that Ann’s Tuesday evening program was well attended, and while ostensibly on show preparation, ranged widely to touch on such topics as selecting a suitable pot for your tree and general bonsai care. Tom says a similar program is worth repeating next year. The beginner’s workshop on May 30 with Ann Erb as the instructor was ably assisted by Tom Post and Wally Kunimoto and brought us about seven new members. Welcome to you all! As Tom reported above, the Club did another great job in putting on our show. Thanks to Leroy Kubel, here are a couple of pictures of the show. Leroy also took the picture of Tom Post and his Bougainvillea that accompanies the President’s message. Mel Ikeda was unable to be there, but he arranged for Allen Sugimura to be Saturday’s demonstrator. Here Allen is working on a Shohin black pine. Wally Kunimoto’s juniper. The branches are Shimpaku grafted onto a Prostrata trunk. Your overpaid newsletter editor was completely AWOL from all Club events in May, the Club’s busiest month. My excuse is that May 16 and 17 are the birthdays of my wife and daughter-in-law and we were away celebrating. 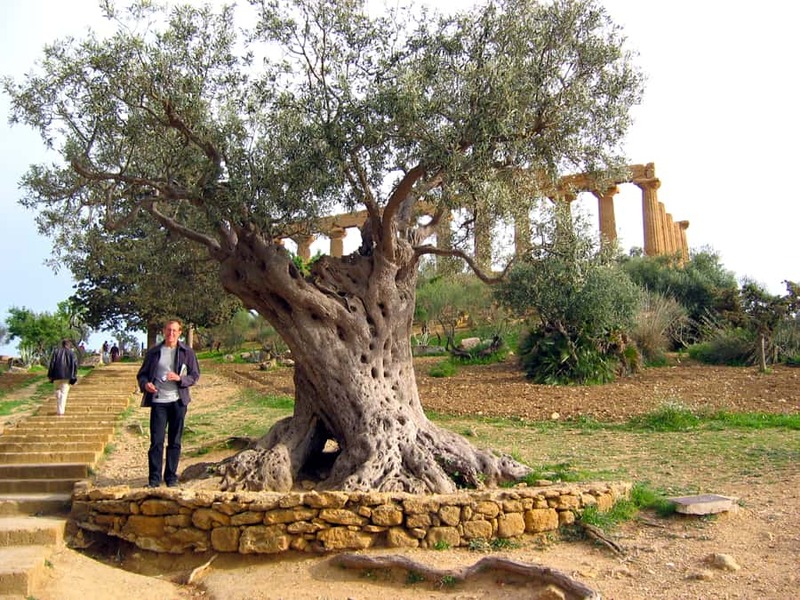 We were, however, able to see a botanical marvel that I had long wanted to see: the giant Montezuma Cypress near Oaxaca, Mexico with a diameter larger than any Sequoia. It’s not nearly as tall as a Sequoia, though. I can’t resist including a picture. 46th Annual Bonsai Show. Descanso Gardens, 1418 Descanso Drive, La Cañada. Hours are 9 AM to 4 PM with demonstrations at 11 AM and 1:30 PM both days. The show will be held in Van De Kamp Hall. Trees from Novice to Master exhibitors will be on display. A large selection of bonsai trees, pots, bonsai stock and accessories will be for sale. All events are free with garden admission. For more information visit our web site at www.descanso-bonsai.com. The club meets from 7-9pm on the third Monday of each month at the Arroyo Grande American Legion Hall, 417 Orchard Ave., Arroyo Grande 93420. Meetings for 2015 will focus on the basics of bonsai, including branch and root cutting, wiring, types of trees, soils, history, etc. 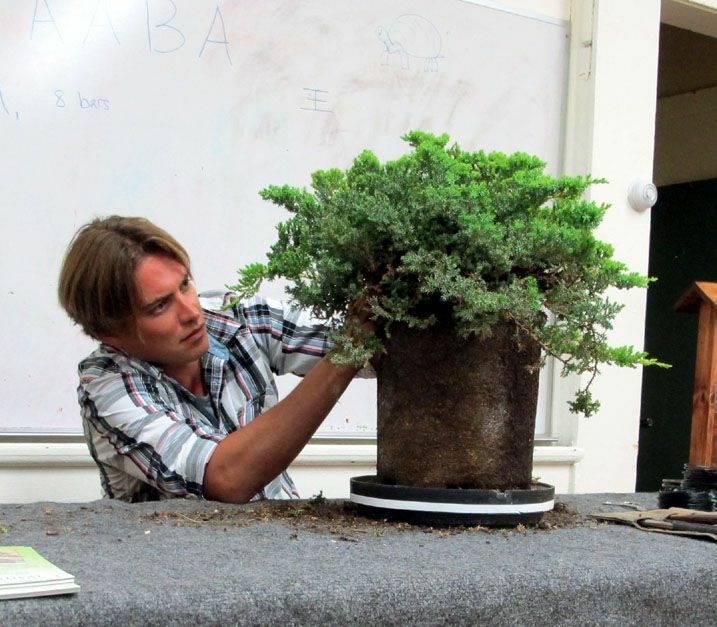 George Muranaka of Muranaka Bonsai nursery will be leading the Monday meetings. 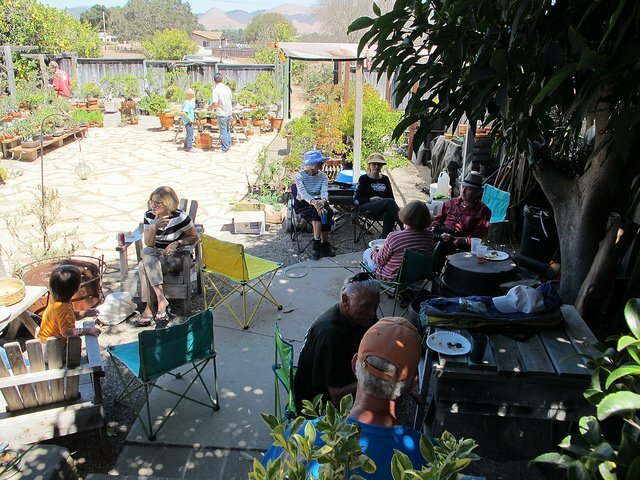 Club website: www.arroyograndebonsai.org. 9 AM until noon. Informal workshop, open to all members, no fee. Bring a tree or two to work on your own or ask advice from other members. No Saturday workshops in June. 9:30 AM until 12:30 PM, Goleta Valley Community Center. Ann Erb, instructor. New semester, fees are due. First of four workshops on the second Saturday of the month with the club’s Ann Erb. Contact Ann Erb or Tom Post if you’d like to attend. Following dates are September 13, October 10, and November 14. Note that October’s class will be in Room 1, other months will be in Room 8. 9 AM until noon or 1 to 4 PM., Room 7, Goleta Valley Community Center. Ted Matson, guest instructor. New semester, fees are due.